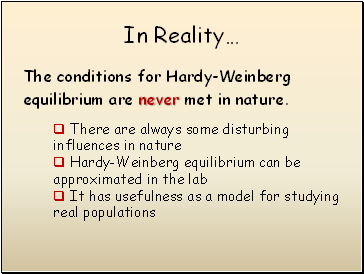 equilibrium are never met in nature. 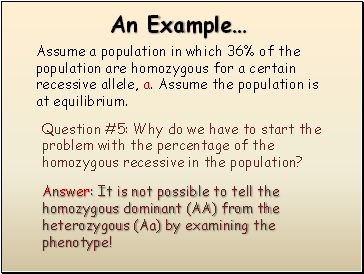 Assume a population in which 36% of the population are homozygous for a certain recessive allele, a. 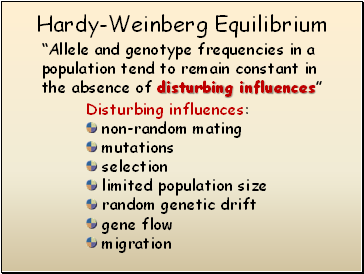 Assume the population is at equilibrium. 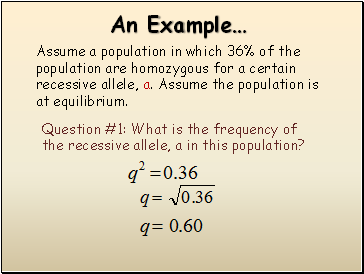 Question #1: What is the frequency of the recessive allele, a in this population? 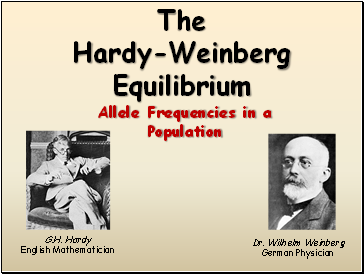 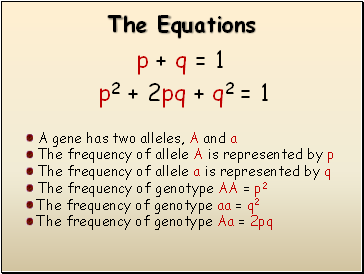 Question #2: What is the frequency of the dominant allele, A in this population? Question #3: What percentage of the population are homozygous for the dominant allele, A? 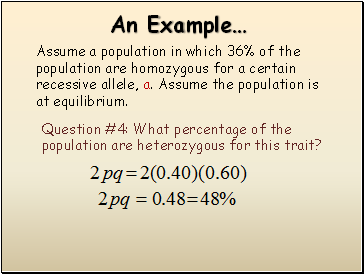 Question #4: What percentage of the population are heterozygous for this trait?